2.45 GHz RFID Antennas Archives - GAO RFID Inc.
Our selection of 2.45 GHz RFID Antennas are designed for indoor and outdoor applications with the purpose of helping increase the strength of signal power and wireless reading range. By having 2.45 GHz Antennas strategically placed throughout your work site, you will increase the reliability of data transfer rates and reduce dead spots. GAO RFID presents a collection of 2.45 GHz RFID Antennas with different protocols that are designed for indoor and outdoor applications. The purpose of the antennas is increasing the strength of signal power and wireless reading for an even longer range. These devices are intended to enhance performance and to obtain maximum reading distance. Furthermore, when the antennas are placed strategically at the user's worksite, they will increase the reliability of data transfer rates and reduce dead spots. These antennas are available at 2.45 GHz frequency and support various standards such as the Restriction of Hazardous Substances (RoHS) directive and the Waste from Electrical and Electronic Equipment (WEEE) directive. Additionally, the antennas have different options of signal gain that include 6dBi, 9 dBi, and 14 dBi. Another key feature for this kind of antenna is that it provides two connector type options that can be either N Female connector which works with most access points or wireless routers or RP-SMA Male connector which also works with most access points or wireless routers. The 2.45 GHz RFID antennas are characterized for having an easy installation mounting kit and several optional accessories that include antenna extension cables. We offer 2.45 GHz RFID antennas in different form factors and materials. The antennas design for outdoor use has a weatherproof design, which allows it to perform normally in various demanding outdoors solutions. The antennas for indoor use are designed to strengthen signal power, increase wireless range, reduce dead spots and provide reliability. Furthermore, these antennas come in convenient colors such as white and gray to fit into the décor of any environment and it does not require configuration or installation of software. 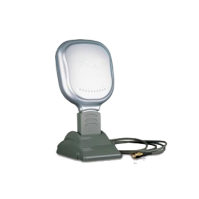 As most of our 2.45 GHz RFID require no configuration or software to operate, they are truly a plug and play solution for extending and maximizing reading efficiency in your environment. The 2.45 GHz RFID antennas provide a weatherproof design, which allows it to perform normally for various demanding outdoor solutions. The main application for the 2.45 GHz RFID antennas is to be paired with GAO RFID selection of readers so that the RFID tags can be accurately interrogated. The antennas can enhance performance at any point of the business in many different industries including people tracking for offices, and asset tracking for construction, logistics, supply chain, and retail. Browse our selection of 2.45 GHZ RFID Antennas. If you need help finding the right antenna for your application, our Experts are ready to help! 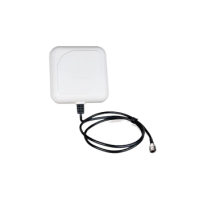 This 2.4 GHz 14 dBi signal gain antenna is designed to strengthen signal power, increase wireless range, reduce dead spots, and provide reliability. This indoor direction 2.45 GHz antenna has a 6 dBi signal gain and is designed to strengthen signal power, wireless range and reduce dead spots. This 2.4 GHz 9 dBi direction antenna is designed for outdoor use to strengthen the signal power and increase the wireless range.